New Delhi: The Congress on Friday moved the Election Commission against Prime Minister Narendra Modi for allegedly "dragging" the armed forces in the political domain and over Union minister Maneka Gandhi's remarks on Muslims. The Congress also made representations to the poll panel against a web series on Modi, Union minister Smriti Irani's "contradictory affidavits" on her educational qualifications, alleged "hate speeches" by BJP leaders, malfunction of EVMs, and complaint against government official for violation of election guidelines in Bihar's Munger. A Congress delegation comprising Ahmed Patel, KC Venugopal, Jairam Ramesh, Abhishek Manu Singhvi, Randeep Surjewala and Shaktisinh Gohil, made the representations to the Election Commission and demanded immediate action. The Congress raised the issue of the remarks made by Maneka Gandhi with the Election Commission, Surjewala told reporters. The party demanded that an FIR be registered against Maneka Gandhi and her nomination be cancelled, Surjewala said. Addressing an election rally on Thursday in Uttar Pradesh's Sultanpur, Maneka told Muslims to vote for her as they will need her once the Lok Sabha elections are over. 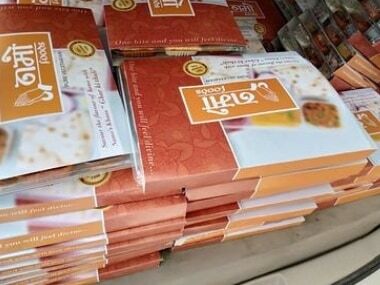 "We are not Mahatma Gandhi's children that we keep giving and not get anything in return," she said in Muslim-dominated Turabkhani area of the constituency. The Congress also asked the Election Commission to issue directions to the prime minister for "deliberately" invoking defence personnel during his speech in Latur, Maharashtra, as a part of his election campaign propaganda. "Modi, BJP chief (Amit Shah) and other leaders of the ruling party are shamelessly and openly, for the first time in 70 years, dragging the forces into cheap politics," Singhvi told reporters outside the poll panel's office in New Delhi. "Dragging the armed forces in political crossfire, asking for votes and doing cheap politics (using the forces), only Narendra Modi and Amit Shah have done this," he said. Singhvi said the Congress has asked the Election Commission to stop such violations and also requested the Commission to not just censure or pull up those violating the Model Code of Conduct (MCC), but dock the person guilty of violation a day of campaigning. "If the person makes another violation, he/she should be barred from two days of campaigning, similarly three and four days for third and fourth violation," he said. Singhvi said the Election Commission should also put a stop on the web series on Modi, citing the commission's order stalling a biopic on the prime minister. 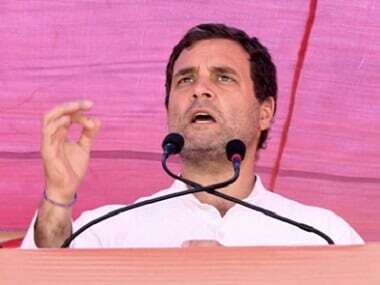 The Congress also complained to the poll panel on alleged "hate speeches" of Modi, Shah and Uttar Pradesh chief minister Yogi Adityanath during their rallies in Nanded, Nagpur and Meerut, respectively, on 9 April. 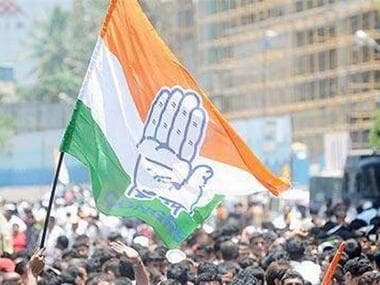 "At all three of the aforementioned rallies, the concerned individuals employed the use of hateful, communal and divisive language against the Congress and its president Rahul Gandhi," the party said in its memorandum submitted to the commission. "As evidenced by the events of the last month (March), these individuals will not be silenced by a simple censure or rebuke...We hope that the ECI appreciates the seriousness and on this occasion, intervenes decisively," the Congress said. The party also demanded urgent and necessary directions to all chief electoral officers, booth level officers and other election officials to ensure proper functioning of EVMs during the polls. 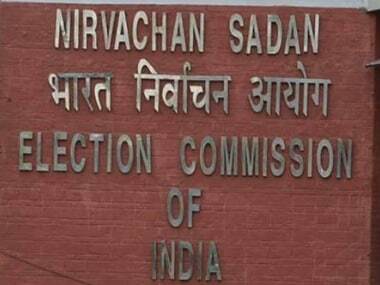 It urged the commission to initiate immediate investigation into the malfunctioning of EVMs and other issues reported from various states during the first phase of polling on 11 April.